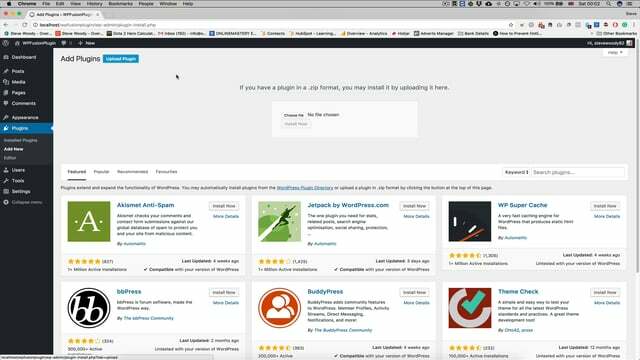 Navigate to Plugins » Add New in your WordPress dashboard and upload the .zip file you received when you purchased WP Fusion. 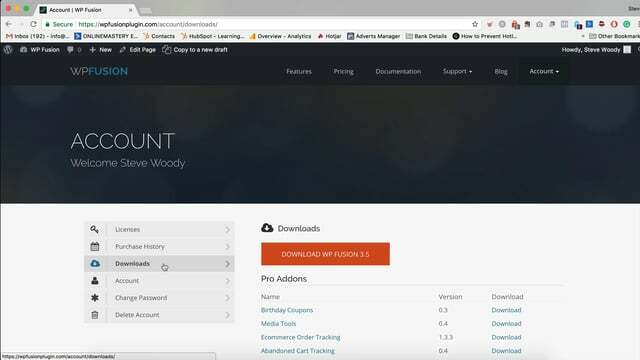 After WP Fusion has uploaded and you’ve activated the plugin, go to Settings » WP Fusion to activate your WP Fusion license key, select your desired CRM, and follow the instructions to configure the initial connection. Once you click Connect, it may take several minutes for WP Fusion to synchronize your local WordPress contacts with your contact records in your CRM. After this, you’re good to go. It’s safe to leave the page during this process, it will continue to run in the background. If you later add new tags or fields in your CRM, you can always go back to the API Configuration tab and click Resynchronize to load the latest tags and fields into the dropdowns in WordPress. Remember: make sure to activate your license key. A valid license key is required to receive automatic updates, and ensures that your copy of WP Fusion will always be compatible with the latest versions of WordPress and your CRM’s API. An introduction for new customers on how to log into your account, and access your downloads and license key.